75 Reviews for Opal Enterprises, Inc. Comment from Opal Enterprises, Inc. Replaced main door and Opal were excellent. Very professional and good when it comes to communication. Thanks for the good work! Usha and family! 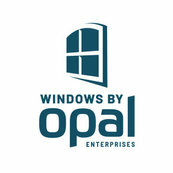 You were referred to Opal Enterprises by a co-worker and we are so very thankful for the connection and the opportunity to provide you with a Wonderful Remodeling Experience!